Ivan Reitman’s supernatural comedy Ghostbusters has already proven itself a tremendous financial success many times over. It was the top-grossing film in the blockbuster-saturated year of 1984, besting even Indiana Jones And The Temple Of Doom, and has gone on to generate nearly $300 million in box office receipts on an initial $30 million investment. And that doesn’t even take into account all the profits generated by ancillary merchandise, encompassing everything from Lego sets to Ecto Cooler. But what about the titular business itself, the paranormal investigation firm founded by Dan Aykroyd, Harold Ramis, and Bill Murray? Would that be worth anything in the real world? 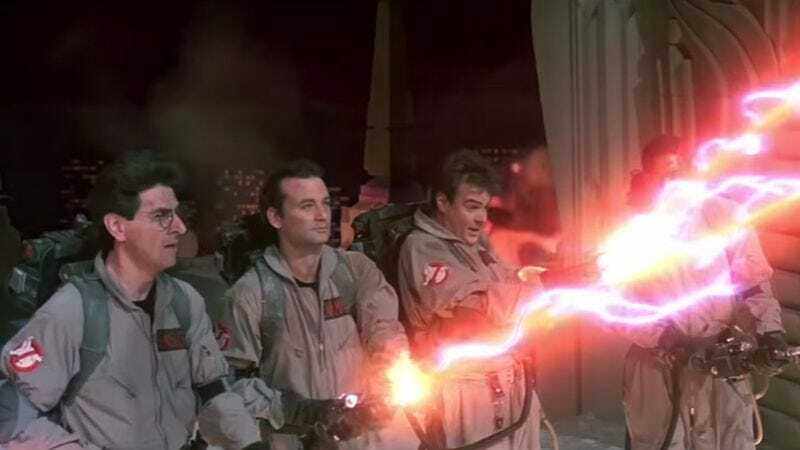 Happily, the financial wizards at Bizdaq have crunched the numbers, and they have concluded that Ghostbusters, Inc. would actually be quite valuable in reality, though not nearly so profitable as the fictional ’busters have been. After considering such factors as revenue, rent, and total assets, Bizdaq estimates the value of the firm at $627,483. Hiring and keeping qualified Ghostbusters is no mean feat, with total protonic reversal being a hazard of the job. This is probably why Winston says it’s “definitely not worth eleven-five a year!” With Winston on $11,500 a year, it’s safe to assume that Egon, Peter and Ray, as the founding members, would be on a little more—let’s say $15,000—and their receptionist Janine on a generous $10,000. In all, it’s probably best to make movies about busting ghosts instead. The profit margin is much higher that way.